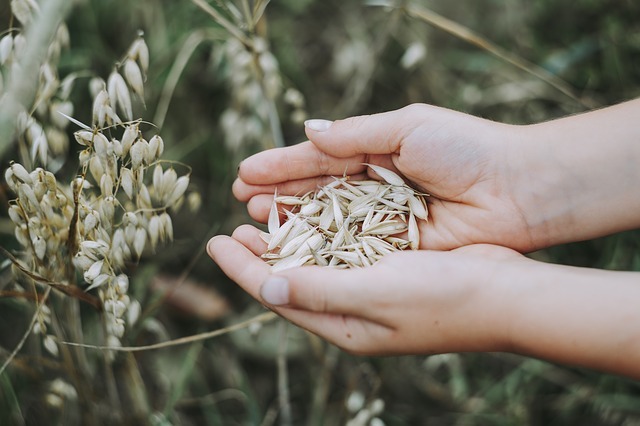 CERERE – Cereal Renaissance in Rural Europe, funded by the European Commission’s Horizon 2020 programme – identifies novel, practical ways to support the cultivation and promotion of heritage cereals. CERERE involves universities, farmers, entrepreneurs and heritage societies across the EU. Lead researcher for Teagasc, Dr Áine Macken-Walsh will give a talk on the evening. Their research across Europe has identified smaller producers who benefit also by producing more localised, niche varieties. These appeal to consumers seeking novel beers, crackers, fermented and baked goods and breakfast cereals – many of which have nutritional advantages. A CERERE artwork by Sadhbh Gaston was commissioned, making use of cross stitch to produce pixelated images of Irish landrace and heritage cereal seeds, varieties that until recently were considered irrelevant to modern farming. Each embroidered work is accompanied by a text that tells the story of the specific seed in relation to CERERE in Ireland. Dr Macken-Walsh explains, “the arts are powerful in stimulating creativity – our exhibition has attracted diverse people together to focus on the important topic of heritage cereals. Artistic representations of heritage cereals are provoking new ideas, challenging traditional beliefs & norms, and widening social, cultural and economic possibilities in people’s minds – this is all enormously resourceful of resilience’. Proceeds to the Slow Food East Cork Education Project.